Last time, we investigated the shapes that can be built out of regular polygons, focusing on convex shapes – roughly speaking those with no holes, dents, or spikes. There are exactly 98 theoretically magformable convex polyhedra: all 5 of the Platonic solids, 11 Archimedean solids (out of 13 in total), 4 prisms (of an infinite family), 4 antiprisms (ditto), and 74 Johnson solids (out of 92). Once you drop the requirement for convexity, the only limits are your imagination and the size of your magformer collection. In principle there are inifinitely many magformable polyhedra, because you can always stick more bits on. See robopenguin here, for example. So what to do? Let’s return to the starting point of every discussion of polyhedra: the Platonic Solids. Imagine the benefits that could reaped if economic activity could be organised in a rational and scientific way, instead of abandoned to the chaos the marketplace! Imagine the efficiency gains there would be, with workers, managers, farms, and factories all pulling together instead of wastefully competing against each other! For a period, in the Soviet Union of the 1950s and 60s, there was a genuine and exhilarating belief not just that communism was morally preferable to capitalism, but that it could actually beat capitalism at its own game. There was even a moment, at least for those with the eyes to see it, when it looked as if that might just be beginning to happen. 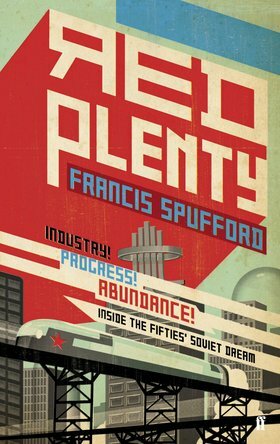 It is this era which is so brilliantly captured in Francis Spufford’s fictionalised account, Red Plenty. I was recommended the book by the estimable Miranda Mowbray, when we were both speakers at a maths outreach day in London. Her talk was on “Drinking from the fire hose – data science”. Mine was on Linear Programming, and afterwards Miranda remarked that she’d read a book in which Linear Programming was the main character. And so it is. For the question arises: in the absence of a market to balance supply and demand, how should the central planners set about their work? How much viscose should they instruct a particular factory to produce, given the number and locations of other factories, the availability of sulphur, salt and coal, and the requirements of the fabric, cellophane, and tyre manufacturers? Astonishingly, the mathematician Leonid Vitalevich Kantorovich was able to devise a tool to answer to this sort of conundrum, in his seminal 1939 work on optimal resource allocation. 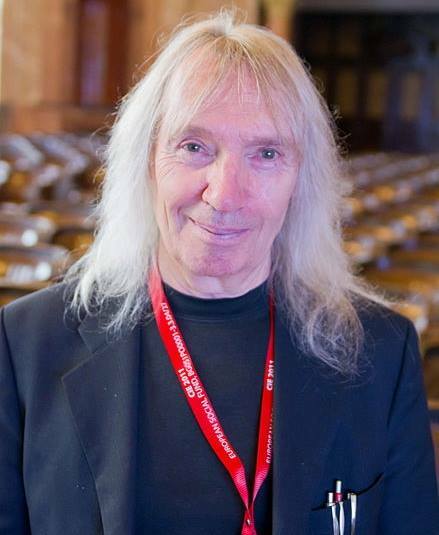 (It would earn him a Nobel Memorial Prize in Economics in 1975.) The consequence of this breakthrough was spectacular: the political apparatus of central planning could be armed with linear programming, the technical means to accomplish that task, and thus would usher in a new era of Soviet abundance. Well, it’s hardly a spoiler to say that it didn’t work out quite like that. Red Plenty recounts the rise and fall of that tide: from the elation of discovery and the hope of a better world, to frustration, cynicism, and the ultimate tragedy of failure. Now, a book about a doomed political philosophy and a technical mathematical procedure may be admirable, but is it entertaining? Reader, it is rip-roaringly so. The story is told episodically, each chapter built around one character, sometimes real, sometimes fictional, each passage invested with the significance that its inhabitants feel. Some are hilarious, some horrifying. There is Kantorovich, of course, the prodigy and professor. There is the ambitious but sincere (fictional) young economist Emil Shaidullin, trudging through fields in his best city suit, determined to improve the lot of the rural poor. Sasha Galich is a (real) flamboyant song-writer and playwright, becoming uneasy with the ends to which his art is put. Zoya Vaynshteyn is a (fictional) scientist enjoying a mad midsummer’s night, but quietly pitied by her colleagues for the unsayable truth: that her subject, genetics, is afflicted with the plague of Lysenkoism. Sergei Lebedev is a (real) computer pioneer, toiling away in his Institute’s basement to build the machines that will perform the enormous economic calculations far faster than any capitalist market. We meet Mr Chairman, Nikita Sergeyevich Khrushchev himself, travelling to the USA to strike a deal and issue oafish challenges. A (fictional) central planner Maksim Maksimovich Mokhov juggles the balances for 373 commodities in the chemical and rubber goods sector. What’s so compelling is the colour and humanity of all these people as they live their lives entangled in the Soviet system. Some embrace the socialist dream, some resist, many simply try to organise their affairs around it. There are a few striking characters we meet only once, such as the (fictional) wheeler-dealer Chekuskin, frantically digging his clients (and himself) out of political holes in the Urals. But several we revisit at later stages of their careers, when dreams have died (or been revised downwards), consciences have been pricked, or lines have finally been crossed. Whilst an idea, that of Linear Programming, may indeed be the story’s main character, it is the human supporting cast that makes it so engrossing. As a postscript, it is worth stressing that Linear Programming really did change the world, and in an altogether more desirable fashion than can be said for the command economy. As so often during the Cold War, very similar work was carried out independently and in parallel on opposite sides of the Atlantic. Linear Programming arrived in the USA with George Dantzig’s 1947 discovery of the Simplex Algorithm. Nowadays, these techniques are employed daily by countless organisations around the world to solve otherwise intractable optimisation problems. 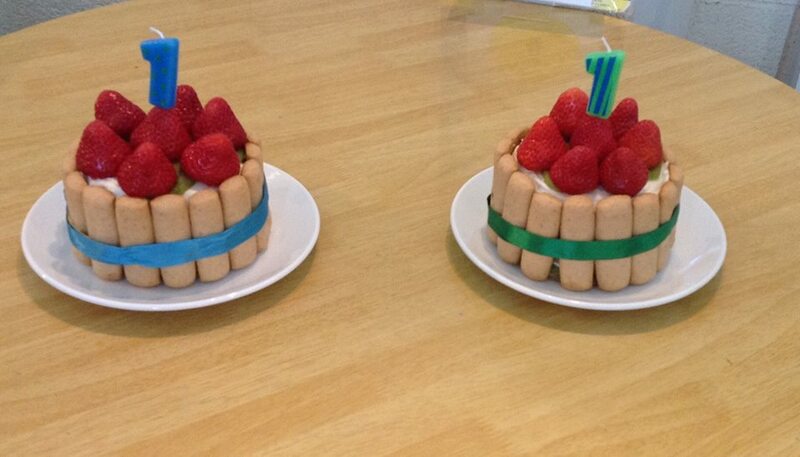 Yesterday, my twin sons turned one. I have spent an amazing number of hours over the last year watching them. I wondered if this experience might teach me something too, about how to learn. After all, babies are the grandmasters on this subject. In the same time that it has taken me to incrementally advance my knowledge of some tiny corner of mathematics, my children have moved from a total inability to do anything besides scream, crap themselves, and scream again, to being able to feed themselves (messily, so messily, but still), crawl, clap, grab, wave, recognise people, stand, and so on. And these are just the most visible manifestations of a deep mental transformation during which their brains have learnt huge amounts about processing sensory data and coordinating muscle movement. Play. We don’t usually talk about babies “working” – but they are, just as assuredly as a student revising or a scientist researching. The difference is that babies are also undeniably playing – and we wouldn’t usually describe either of the other two in that way. Babies are not motivated by exam grades or pressure to publish. The more fun you find your work, the better you do it. Be curious. The babies immediately home in on any new item which appears in their playing area, and start investigating. They are always exploring the room’s boundaries, and grabbing at anything unfamiliar or interesting (my laptop, mugs of hot tea, etc..). But they are not searching for anything in particular. Set aside some time for open-ended exploration and experimentation. First, learn one thing well. The boys learned to clap quite early on. With this under their belt, other manual skills such as waving and pointing were comparatively easy to pick up. Likewise, an experienced mathematician will find it easier than a novice to master an unfamiliar mathematical topic. Even if neither has any directly relevant knowledge, the fact that one is practised in the art of learning mathematics should carry them a long way. Building skills can be worthwhile, even when the skills themselves are not. A change is as good as a rest. In the opposite direction, the twins do not spend hours at a stretch practising one thing, such as walking. Instead they do it for a little bit, then get distracted by a toy, move onto another toy, have a crawling race, try holding a conversation with their mother, then they do some more walking, and so it goes on. Have more than one project on the go. Don’t be scared. Most of the time, my sons appear completely fearless. They happily crawl into perilous situations, pull over heavy objects, and invite disaster in any number of imaginative ways. This is despite the fact that they regularly do fall down and otherwise upset themselves. Take risks. Even if they don’t immediately pay off, continue to take risks. Don’t be embarrassed. Babies are not only unworried about taking a tumble, they’re also unafraid of looking like fools. The more I ponder this, the more important I think it is. In my efforts to learn Japanese, for example, I am hindered (perhaps more than I have realised) by the fear of making embarrassing mistakes in conversation with my in-laws. Likewise, mathematicians do not enjoy admitting errors, or gaps in their knowledge, in front of their colleagues (let alone their students). I think this is a bad habit. In order to learn from your mistakes, you must first allow yourself to make some. Accept help. The boys are utterly dependent my wife, me, and the other generous people who help us look after them (thank you!). Obviously, adults shouldn’t be that reliant on others, except in extremis. Nevertheless, there may be people in your life who would like to help you succeed. Let them. “Good enough” isn’t good enough. My children have reached the point where crawling is a highly efficient form of travel – they can zoom around the house to wherever they want to be. Walking, meanwhile, is a faltering, risky business. It would be a perfectly rational short term decision if they opted not to bother with it. Of course, babies don’t reason that way, which is just as well. Invest in your long-term skills, even at short term cost. Don’t focus on the scale of the challenge. My children’s vocabulary currently consists of little more than “dadadada”, “mamamama”, “aaaaghh”, and “pmmpphh”. It will be quite a journey from these noises to mastery of the language of Shakespeare (and indeed that of Chikamatsu). Of course they have no idea about that. The journey matters more then the destination.